You know your brand rocks. Let’s make sure the world knows. 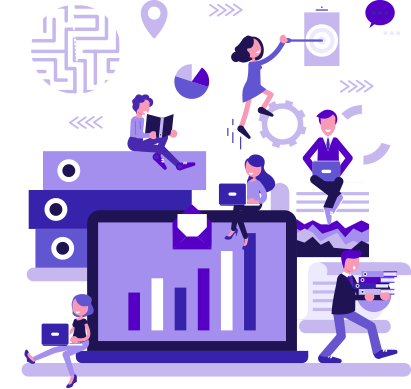 Chainlink Relationship Marketing is full-service digital marketing agency based in NYC, helping companies and brands reach targeted audiences with precision marketing messaging. The reality of the modern digital marketing landscape is that just having the best-looking website or most competitive products just don’t cut it. Chainlink helps companies improve their digital presence by conducting in-depth market research, planning precision campaigns and targeted programs, provide the highest level of execution, and then constantly optimizing for the strongest results. We’re huge believers in Marketing Attribution & ROI, so we implement the most advanced tools available in the marketplace to monitor which efforts should be increased/decreased, and ensuring our clients are getting the most from their marketing spend. Organically grow your website's inbound traffic and lead generation. Foster 1-to-1 email marketing conversations at scale with advanced automation. Develop brand-appropriate content that attracts prospects and customers. Accelerate your digital advertising with targeted efforts that drive conversions. Social management and advertising consistent with all your marketing efforts. Rocking websites the drive conversions and premium digital experiences. Print marketing is great. It's even better with a cohesive digital strategy. Let's make your next event more memorable with customized promotional takeaways. The first step Chainlink Relationship Marketing takes with clients is a full business evaluation to allow for proper discovery and to identify your digital marketing objectives and goals. 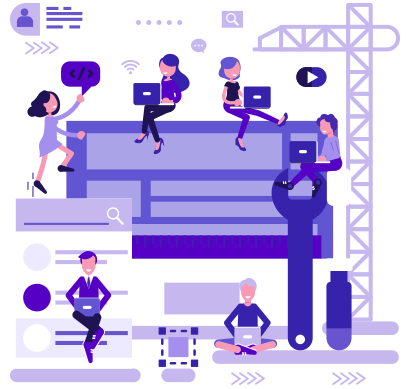 Whether you’re launching a new brand and offering, or you have a seasoned customer base, Chainlink collaborates to develop a strategic and precise digital marketing plan to match your company and customers’ needs. After the audit and planning stages, Chainlink helps implement digital marketing efforts that provide consistent and interactive touchpoints across channels. 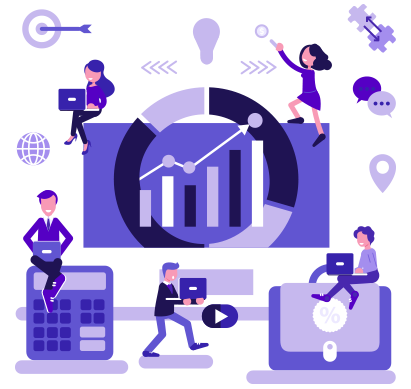 As admitted data geeks, we rely heavily on analytics and data to plan, execute, optimize and report on the progress of your digital marketing campaigns. Chainlink Relationship Marketing has experience working with clients across industry verticals, B2C & B2B, and various business sizes, however, one thing is consistent across every campaign; our unwavering focus on maximizing the ROI on your digital marketing efforts and advertising spend. For every digital marketing campaign, Chainlink identifies the most relevant KPIs (Key Performance Indicators) to allow for proper benchmarking, monitoring, and optimizations. Regardless of your budget, objectives, or marketing channels, Chainlink ensures that every dollar and minute spent on digital marketing and advertising is being deployed as efficiently as possible to maximize your returns. 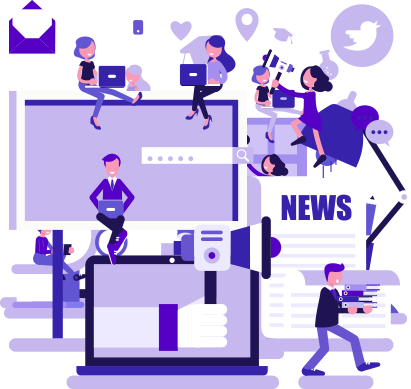 Chainlink Relationship Marketing has helped clients achieve their digital marketing goals across all channels, and what we do better than most is providing the technology solutions to ensure your marketing and advertising efforts are seamless across channels. Chainlink helps clients grow their traffic through SEO efforts and Content Marketing, targeted Google Search Ads & Responsive Display Ads (Banner Ads), and Social Media marketing. Additionally, Chainlink assists clients in the planning & execution of automated email programs and customized dynamic landing pages to properly engage with your customers at the right moments during their buying journey. Above all else, Chainlink Relationship Marketing prides itself on making customers happy. Client collaboration and open communication are paramount to ensuring that your digital marketing efforts are achieving the results you want and need. Chainlink keeps an open dialogue with its clients throughout the digital marketing partnership, including the early-on planning phases, regular reporting, customer updates and touch points, and discussing ongoing optimizations and future digital marketing efforts. The data and results speak for themselves, but Chainlink is a service business, and you’re not providing service is your customers aren’t happy. Ready to Grow Your Traffic & Online Visibility?